Sometimes, words are not needed: they are simply out of place, or we just don’t want them to be said out loud. Sweeney’s story is a little bit of both. She was looking at me with interest, nagging me to get on with it already, to just say it. Even the air I breathed out was trembling. I opened my mouth. Nothing. I couldn’t do it. I knew this was going to happen, that I won’t be able to start. 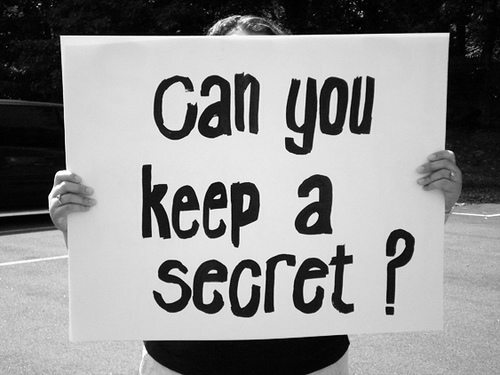 In a way, these secrets want to stay secrets. Of course, they would change everything. I was scared to blow this facade, to widen this little bubble, meant just for me. I was scared she too would be different. I was scared to get this moment wrong, so it would forever be corrupted. I was scared she would not be able to accept this, that I might spoil our relationship. She said she had a hunch. It made my stomach tremble. Could she have known all along? Could she possibly know, right now, sitting in front of me what I have been hiding with such care for years, from everyone? She was smiling. Something inside me was cheering. Maybe it won’t be a surprise? She won’t be shocked, or turn away in disgust? She won’t judge me? She won’t hate me? Maybe I’ll still mean the same for her, maybe we’ll still mean the same for each other? I was about to ask her what she was thinking, what I wanted to tell her with my mouth gone dry and a lump in my throat. But I didn’t want to hear it, I didn’t want her to say it out loud. By then I was almost certain her hunch was right. It was something in her eyes, or maybe just intuition. It was terrifying to think that she might say it, that thoughts might become words, that she might make my secret ours, that she might coax it out of me. It would have felt like being undressed. It wasn’t working either way. I didn’t want her to speak it, but I was incapable of doing so myself. She took it. I saw her deliberate, maybe looking for the best way to put it. She wrote it down. She folded up the paper and handed it over to me. I took it, opened it and took a look at what she wrote down. I started smiling. Coming out at your workplace – Do it if you can!